Embellish your wedding hairstyle with this elegant yet pretty floral hair accessory. 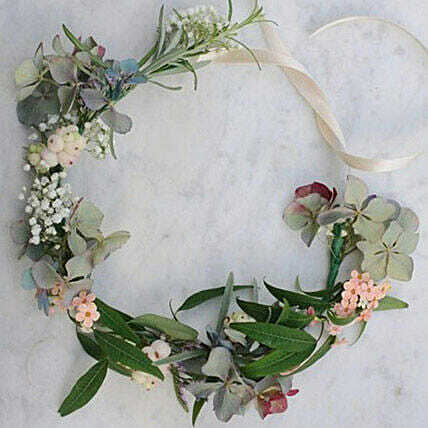 This floral tiara is made with 3 different types of eucalyptus leaves, gypsophila, wax flower and berries. A super stylish flower crown that is a must have bridal hair accessory on your wedding. Keep your floral under refrigeration.